On this day in 1964, foresters, government officials, and others gathered near Asheville, North Carolina, at the site of the historic Biltmore Forest School. At this joint annual meeting of the American Forestry Association and the North Carolina Forestry Association, officials laid the cornerstone of the U.S. Forest Service Visitor Information Center, dedicating the Cradle of Forestry in America. The Cradle of Forestry was envisioned as a unique indoor-outdoor museum that would celebrate the significance of the Pisgah National Forest lands to the history of forestry in the United States. Here, America’s first trained native-born forester, Gifford Pinchot, managed the thousands of forested acres owned by George W. Vanderbilt. Beginning in 1892, Pinchot initiated large-scale scientific forest management practices on the Biltmore and Pisgah lands. 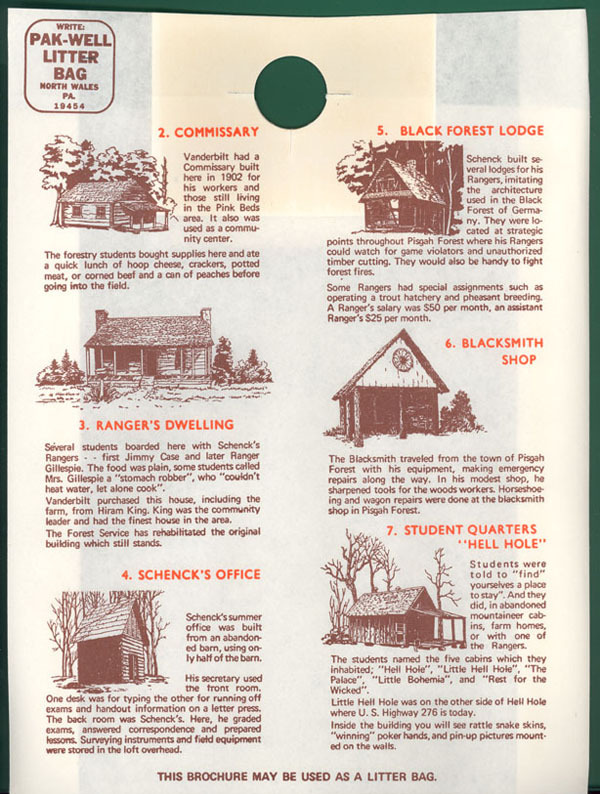 Pinchot’s successor, Dr. Carl A. Schenck, opened the first forestry school in America. 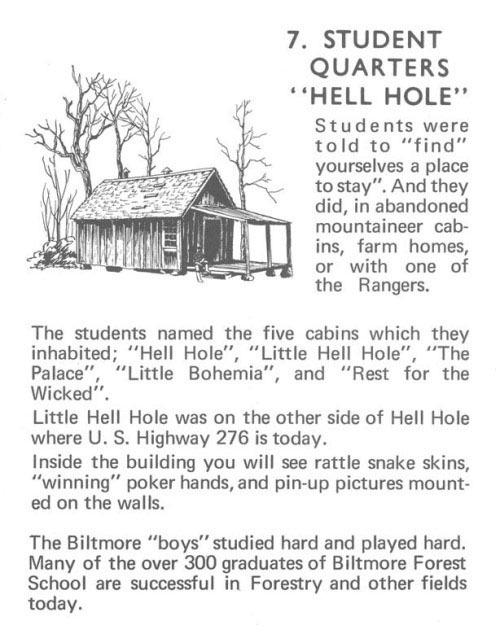 The Biltmore Forest School operated on the estate from 1898 to 1907. Passed in 1911, the Weeks Law granted the federal government authority to purchase private lands for inclusion in national forests. Following the passage of the Weeks Law, several tracts of Vanderbilt’s land were among the first purchased by the U.S. Forest Service. Incorporating these tracts, a proclamation signed by Woodrow Wilson in 1916 officially established the Pisgah National Forest. “I would like to glimpse the technological advances and the wealth of knowledge that you and your colleagues have at your fingertips. I know that it must surpass by far anything we can imagine here in 1964. Yet I am equally sure that you need all of these and more to solve what must be incredibly difficult and complex problems of forest management. . . . The Alfred Cunningham Papers, 1910, 1931 – 1937, n.d.
Additionally, FHS has collaborated with N.C. State University, UNC Asheville, and the Biltmore Estate to present The Rise of American Forestry: From Education to Practice. I suspect Chief Cliff would be impressed by the “technological advances and the wealth of knowledge” at our fingertips.